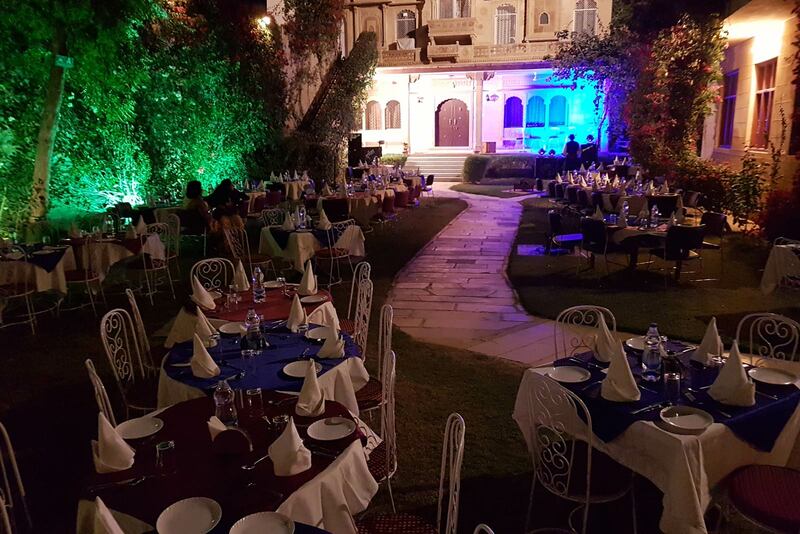 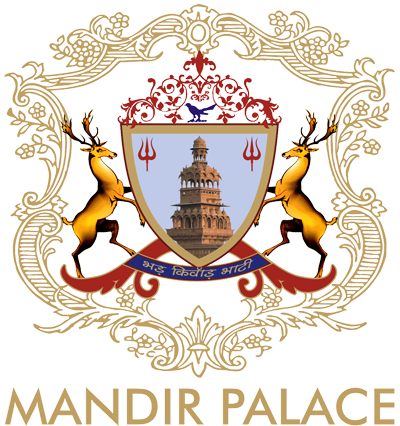 At Mandir Palace guests can choose from dining at varied different places at the Palace. 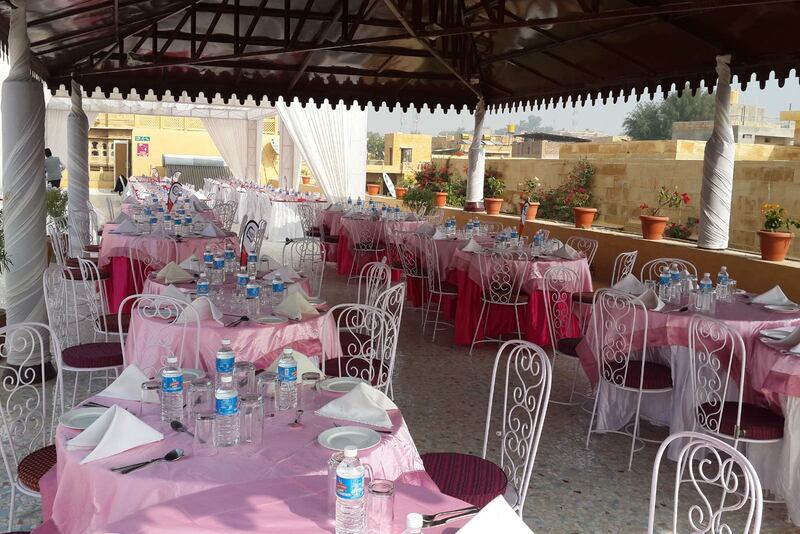 Special arrangements like private dining, birthday or anniversary dinners can be organised on request. 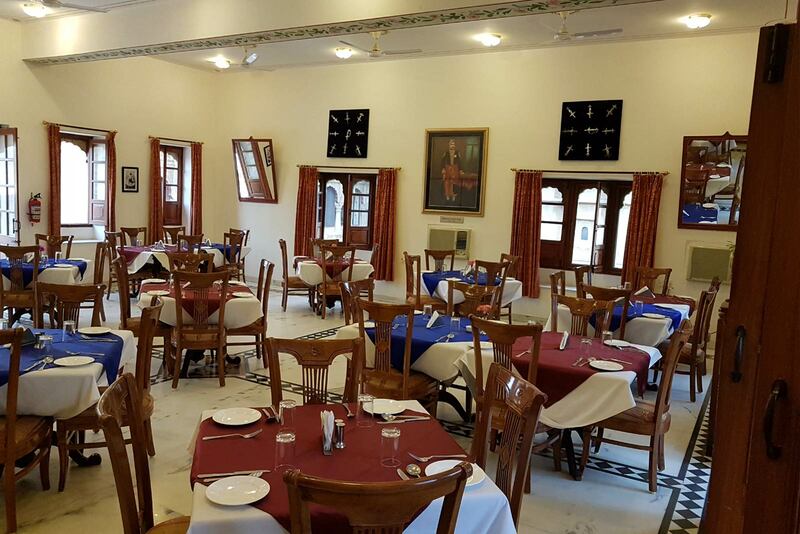 Guests have a range of dishes to choose from our menu or interact directly with the chefs to customise a special dish to suit their taste buds. 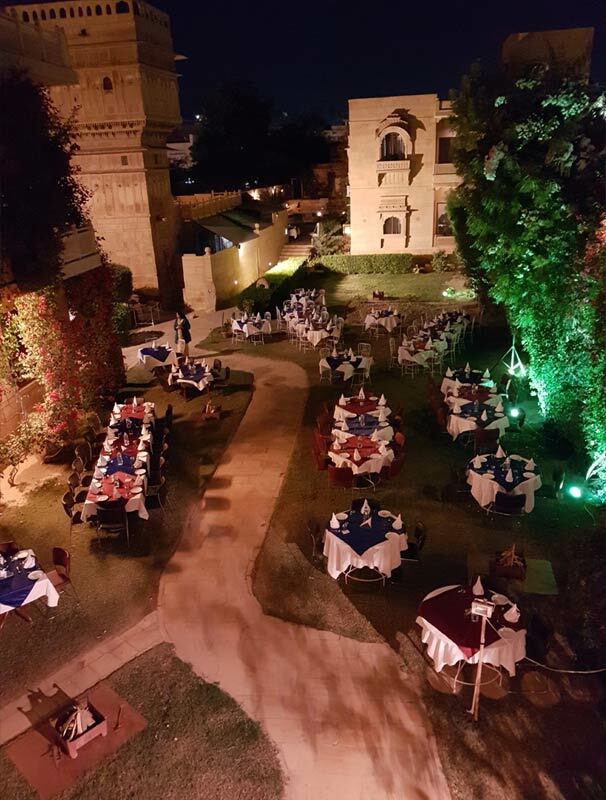 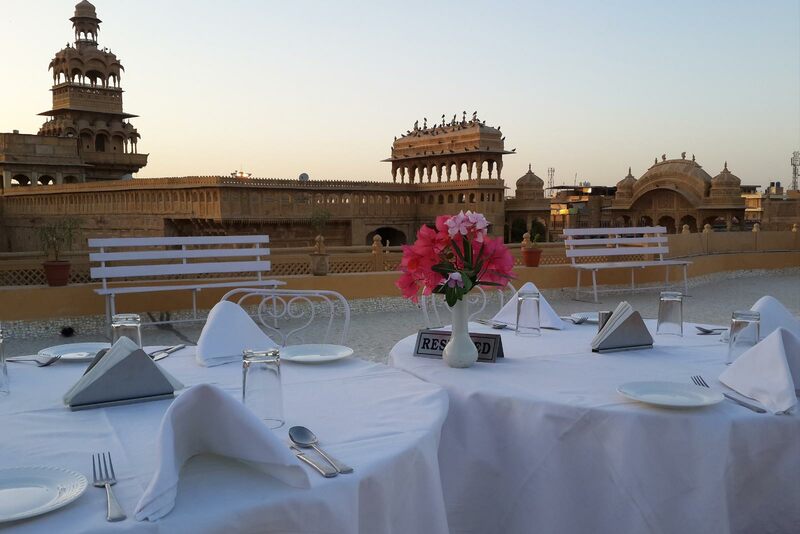 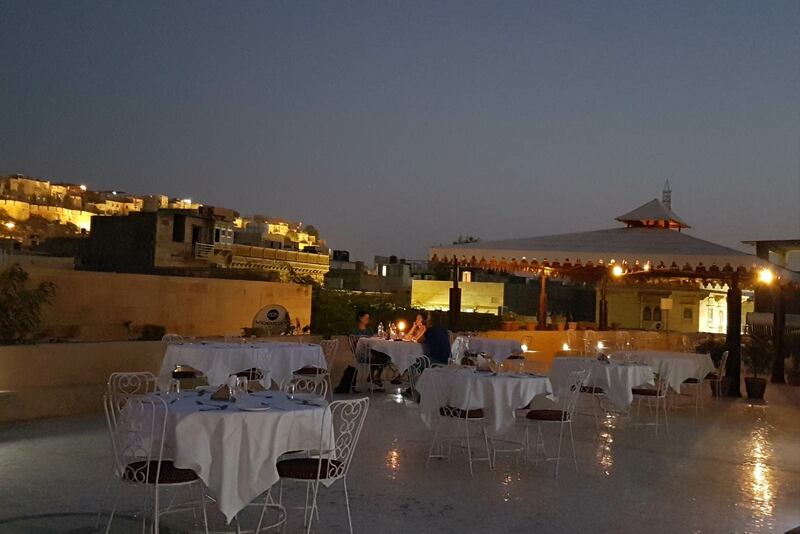 The Roof Top Restaurant, which offers a panoramic view of the Jaisalmer Fort. 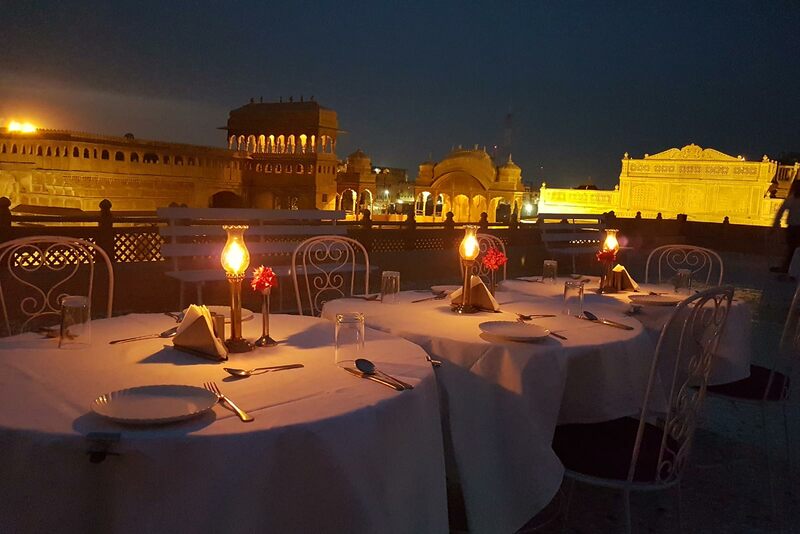 Our menu offers a wide range of dishes to choose from like Traditional Rajasthani, Indian, Chinese and Continental. 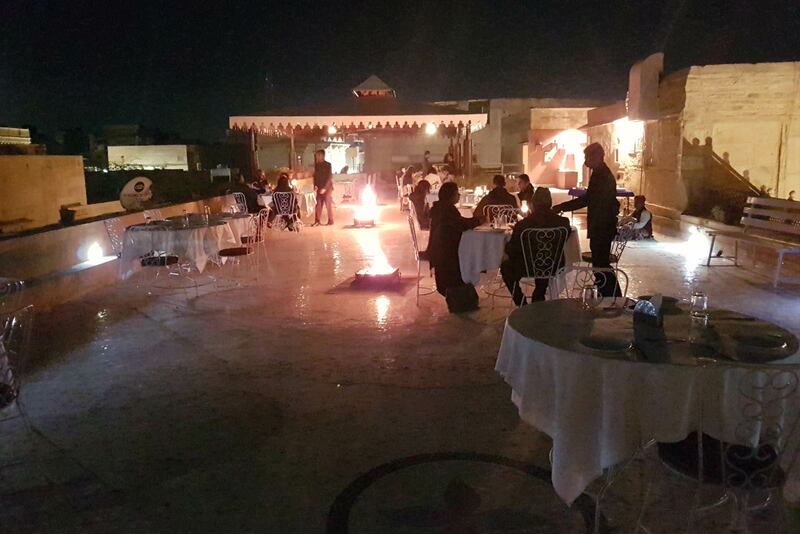 The Live Tandoor at the Roof Top Restaurant has a special menu and guests can see and smell their order being cooked in the live furnace. 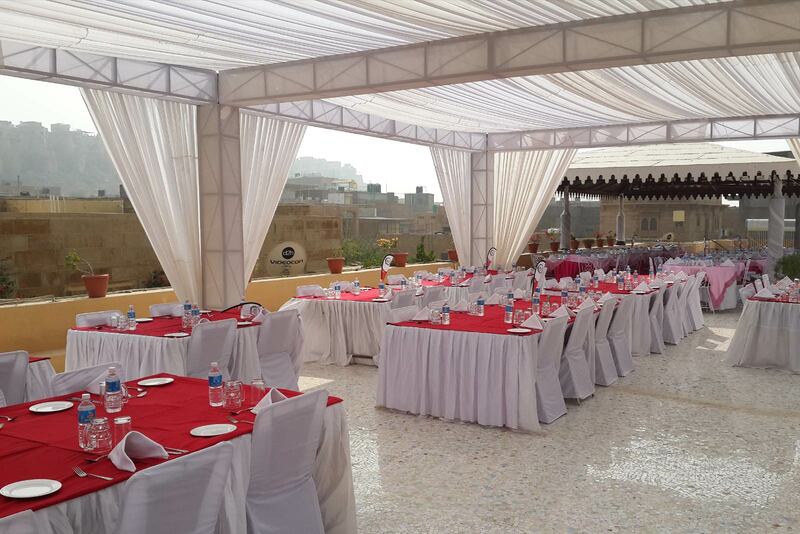 Local folk music and dance programmes can be organised on request.